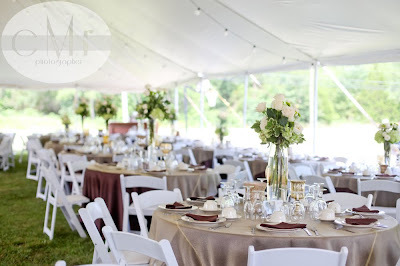 This gorgeous set-up was for a wedding reception we did in Cuba, MO at the groom’s family’s lake house. 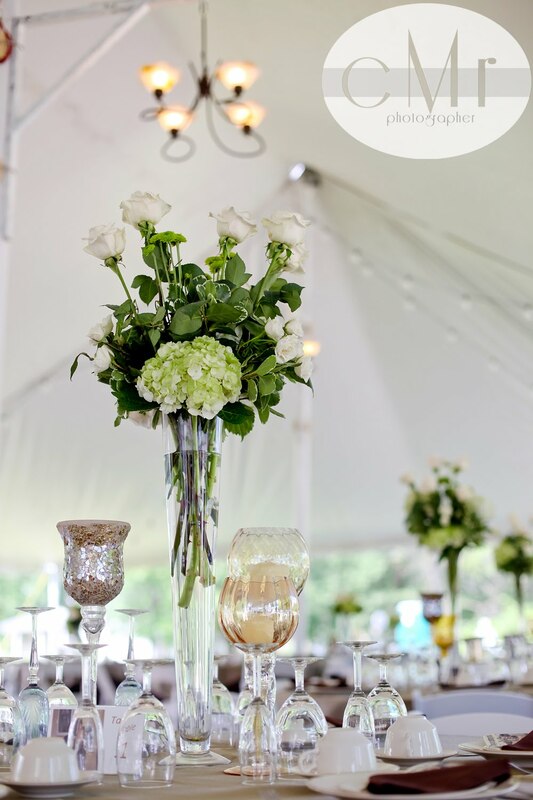 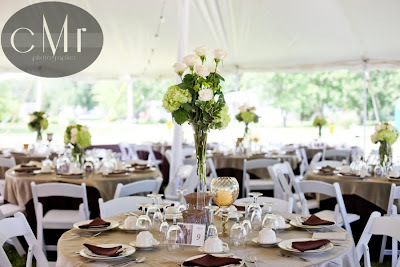 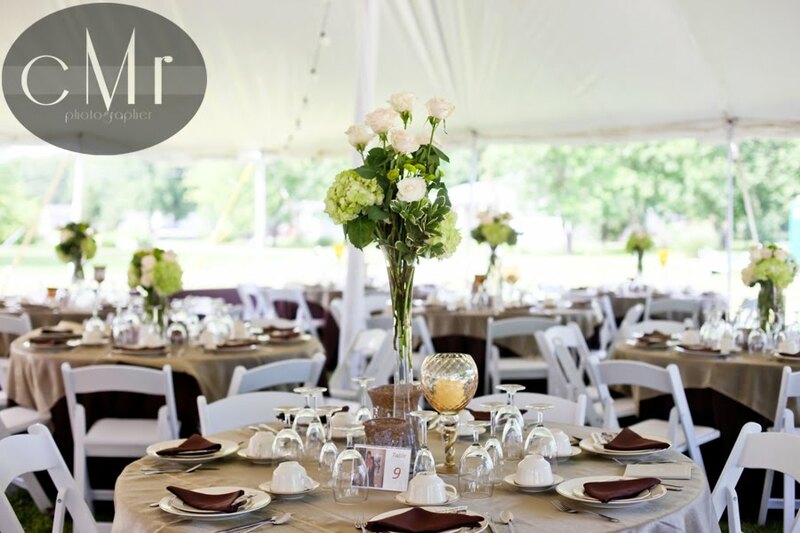 The linens, tent, and flowers all flowed so well together with the backdrop of their beautiful home. 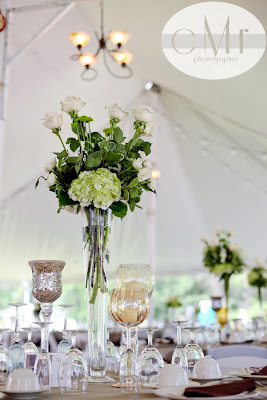 This sweet bride brought us her own vases in all shapes and sizes. 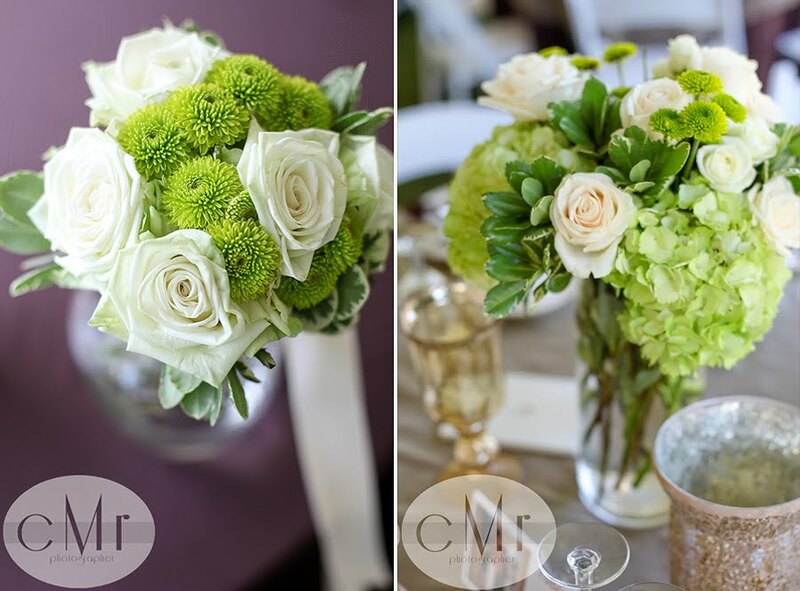 We designed a different arrangement for each vase in her colors with a very gardeny feel.